While most of the world was preoccupied with events taking place in Europe in the years 1940-45, people not directly connected with the war continued their daily lives. Unfortunately, this sometimes included being the victims of crime. 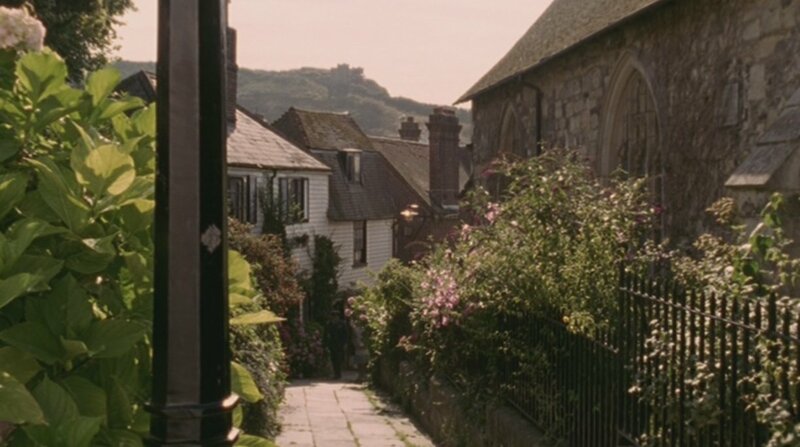 Detective Chief Superintendent Christopher Foyle, based in the coastal town of Hastings, has the job of working to ensure that criminals don't get away with murder in Foyle's War: The Home Front Files. This 22 disc set contains all the episodes from seasons 1-6 of the series. DCI Foyle is joined in his efforts by his driver, Samantha Stewart (played by Honeysuckle Weeks) and detective Paul Milner (Anthony Howell) who lost a leg in the early days of the war. 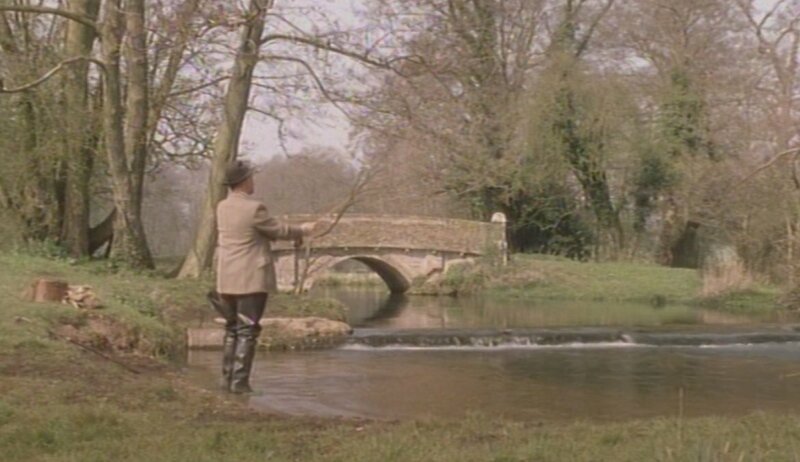 Foyle wants nothing more than some quiet days on the river catching trout for dinner, but the criminals keep him too busy to spend much time with his fly rod. Additionally, his son is an RAF pilot, so Foyle is constantly worried about his safety. As a World War I veteran, DCS Foyle is somewhat world-weary, yet he never lets his guard down, even when he is at one point suspended from duty and accused of crimes himself. His sharp blue eyes don't miss much as he ferrets out the criminals and their motives. While the war is, of course, a big part of the events taking place at the time, the personal jealousies, failings and secrets of the people surrounding the crimes are generally at the heart of solving the mysteries. There are some interesting extras, including an interview with the creator of the series, Anthony Horowitz. He also wrote many episodes of Midsomer Murders, and some of these episodes have that same small village feel -- a lovely little town where resentments, jealousies and infidelity often lead to murder. It was interesting to hear the author clarify why some of the things in the series are as they are. 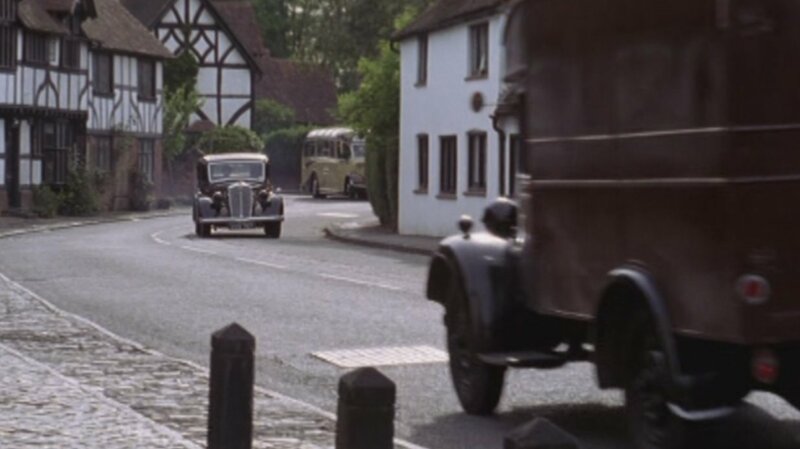 For instance, the series could not be set in London, because London was changed so much by all the bombing in World War II that it would be impossible to get an authentic setting. That's why most of the action was moved out to Hastings. Even the character's name of Christopher Foyle is interesting. He is "foiling" crime, but his name is also a nod to the famous Foyle's bookstore. Other extras include interviews with cast members and "making of" information which goes into a bit more detail about some of the things mentioned during the programs. I was sure glad for the clarification on what a "Funk Hole" was! Many famous faces pop up from time to time as well, including Robert Hardy, Danny Dyer, David Tennant, Rosamund Pike and James McAvoy. 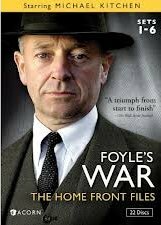 In 2010, Acorn bought the rights to Foyle's War and developed new episodes. There is a new series of Foyle's War being shown starting this month on the ITV network in Britain. Hopefully, we won't have long to wait to see it over here, either! As in most British TV series, the scenery was gorgeous, and I was very happy to see that, while war might have been raging and people were constantly worried about bombings and German invasions, at least they didn't neglect their gardening!